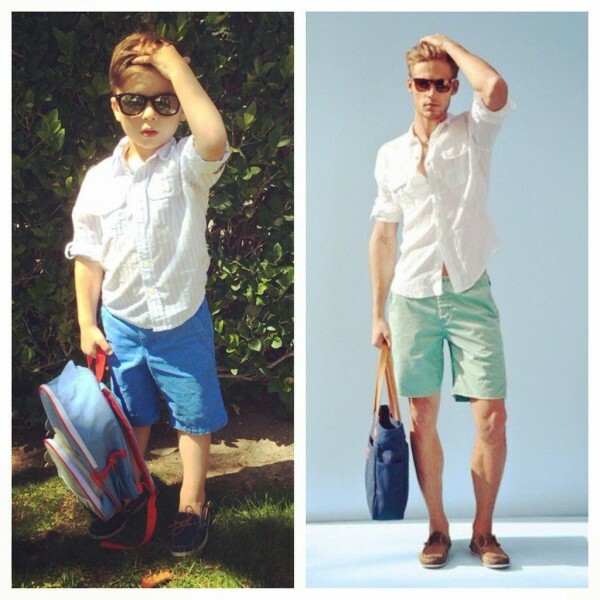 Fashion Repost: Cute Boys VS Handsome Men! Who is Much Cooler? In recent times, there are a series of popular programs for parents and children that are hot broadcasted in world wide. People who love watching TV program must know this series. 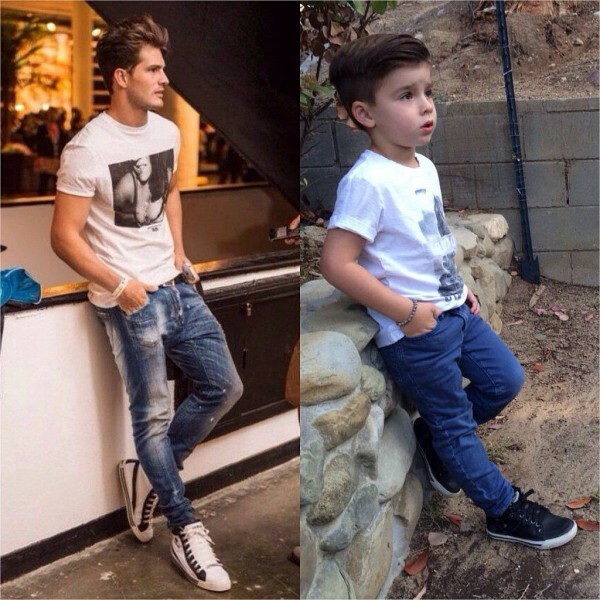 In the followings, I would like to give you some contrast photos of cute boys and handsome men! Which one will you be more inclined to? It is the time for you to choose the most attractive and handsome one by your valuable vote! 1. The lazy and easeful appearance seems to be attractive and causal for you to see? Wearing a pair of sunglasses and cling to the door edge with bent standing, you will show a unique and cool style which makes people feel that you are a raffish man. 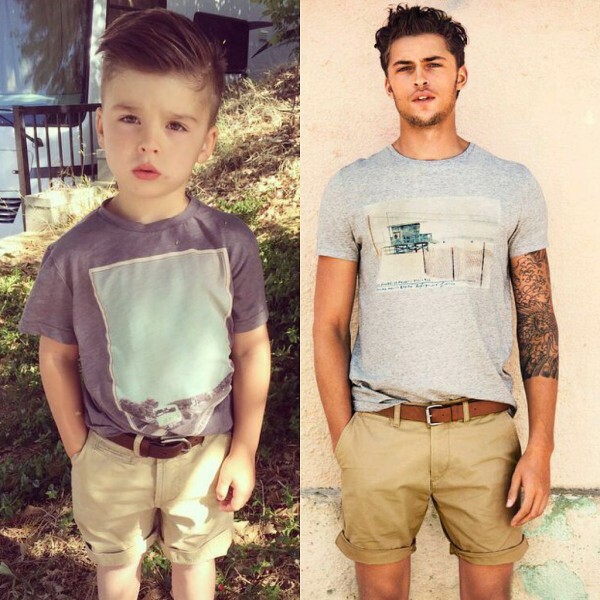 The little boy will be so cute and lovely that melt your heart! 2. The gradually changing colors, shirts in light blue colors, matched with dark blue sweaters will show you a fashion appearance. 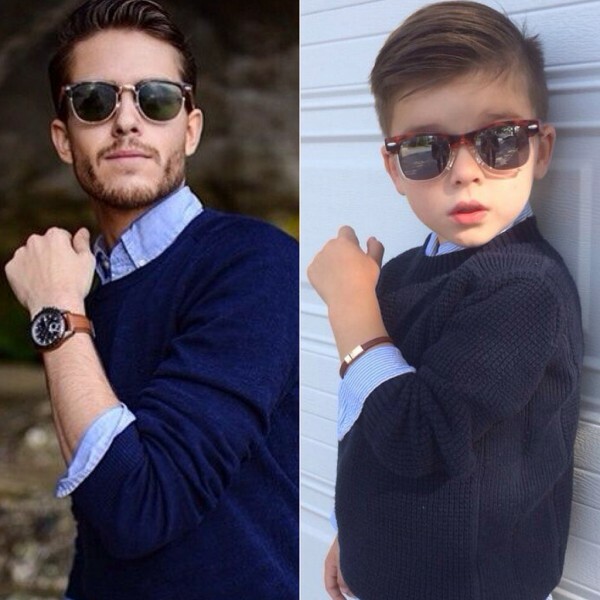 Watching watches unintentionally will show you an attractive and mature appearance. Men also do this in order to show their status and taste. A pair of additional sunglasses, you will show a mysterious feeling. Which one will you choose? The handsome man or the cute boy? 3. The innocent wink will surely make you mesmerized in their charm. Gray cotton T-shirts matched with khaki shorts as well as a brown belt which can show your perfect figure curves, will show you a cool and strong feeling. 4. 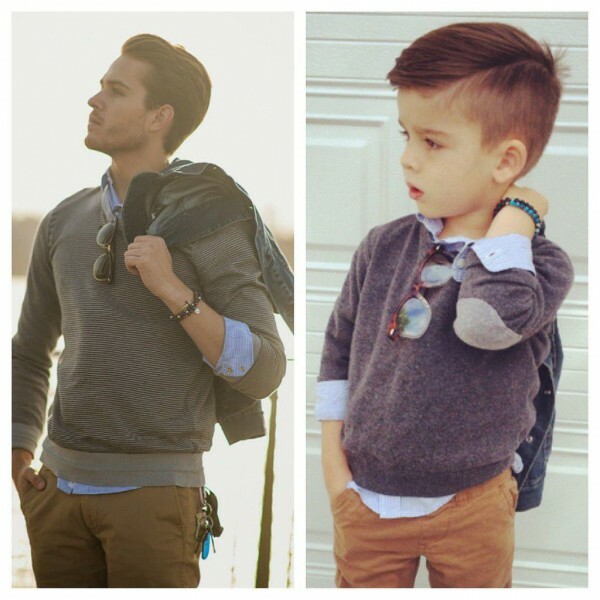 Gray sweaters, matched with blue shirts and a pair of khaki pants will show you a charming and serious appearance. The denim coat will make you look even cool. 5. White T-shirts matched with blue jeans and sneakers will make you alluring and filled with youthful, vivid and positive temperament. 6. White shirts matched with colorful shorts and a handbag will show you a fashion and beautiful effect. Ruffling your hairs will make you even cool. 7. 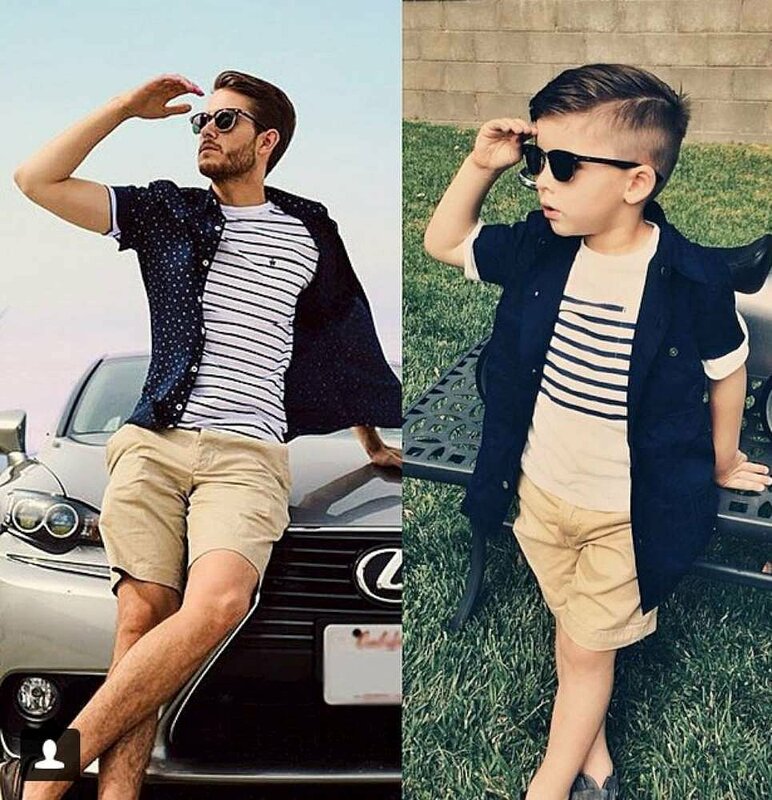 Striped t-shirts matched with blue dots shirts and a pair of khaki shorts will show your masculine glam. A pair of sunglasses, as a summer necessity, will be especially cool and amazing to see when you take photos with cool cars. ← Hard to Master Men’s Camo Shorts? One Step for You to Show the Chic Appearance!